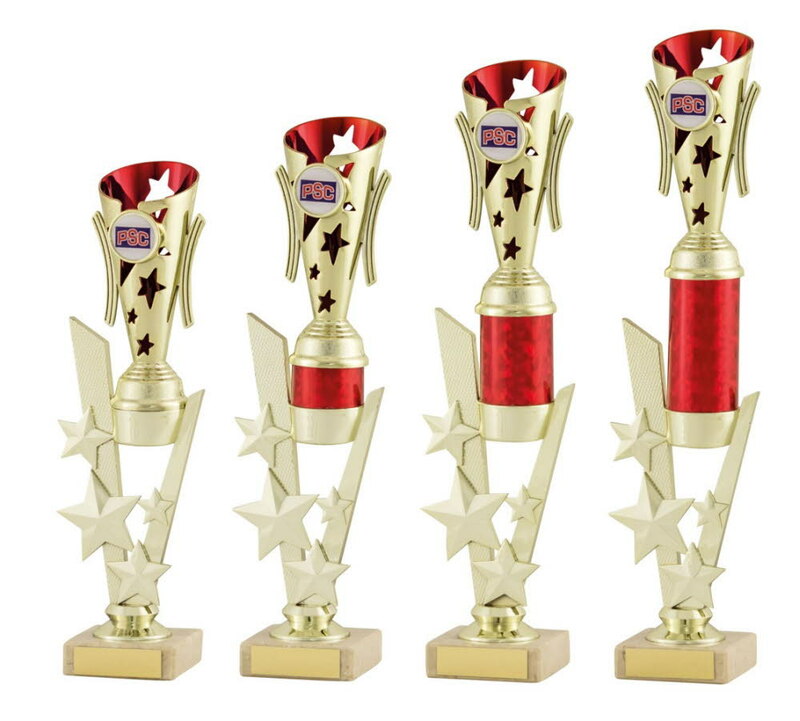 Gold and Red Modern Star Cup Awards. Available in 4 sizes, 290mm, 320mm, 340mm and 370mm high. Gold and red cup with star cut outs and a centre holder mounted onto red tubing, a plastic gold star riser and heavy cream marble base. Please note there is no tubing on the smallest size. We have 6 colour combinations of this design for you to choose from within our shop!